De Waterkant features an array of top quality restaurants, sunny pavement cafes, art galleries and boutiques within a picturesque setting. This is an ideal base for a dynamic Cape Town Holiday. The V&A Waterfront developed around the older scenic wharves of Cape Town Harbour. 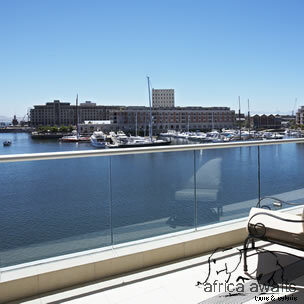 The Victoria and Alfred Waterfront lives up to its reputation as one of the most visited attractions in Cape Town. Excellent restaurants and trendy bars with an assortment of options which include, helicopter flips, daily trips to Robben Island and visits to the Two Oceans Aquarium. All our properties all have their own architectural style and interiors from African Contemporary chic to luxurious ultra modern finishes offering a sense of serenity and calm. Incorporating indoor and outdoor living offers a lot of space and light creating perfect harmony. are then personally checked into their apartment. Children of all ages are most welcome, child caring and cots can be arranged at an additional cost. Cape Town International Airport is approx. 20 km from De Waterkant, travelling time 25 -30 minutes. Visa; Master Card and American Express. 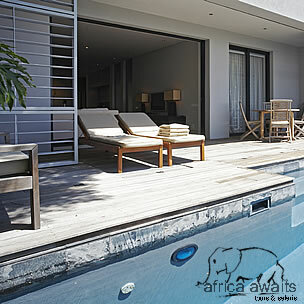 With your holiday, safari or business trip from in to African Elite Properties in Cape Town.